Hello!!! Here's my current routine of products I've been using on my combination oily/dry/acne prone skin. My skin care changes all time, but I do stick with products that have really worked for me and I can't live without. 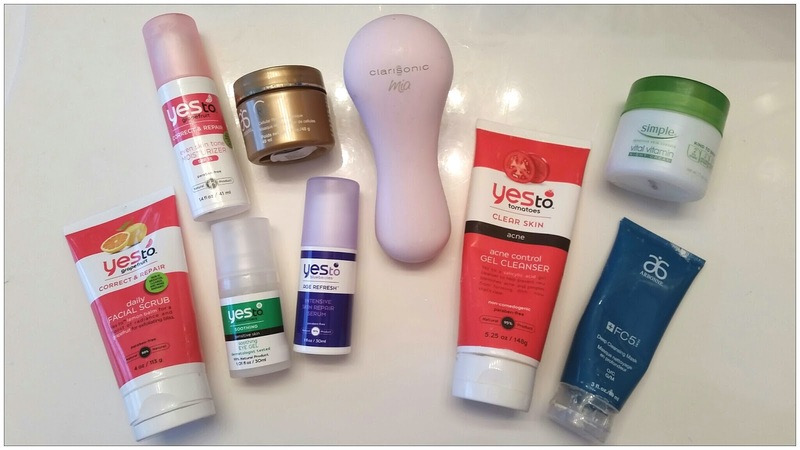 I can't live without my Clarisonic, I use it in the morning and at night. If you don't own one, get one! Do you have a favorite skin care line you use? I hope you find this helpful. I'll keep you posted when my routine changes. Thanks! I'll try Yes to series next time! Where do you get them? Also my friend was saying the same thing about Clarisonic! I've been wanting to buy one too! Which kind do you own?